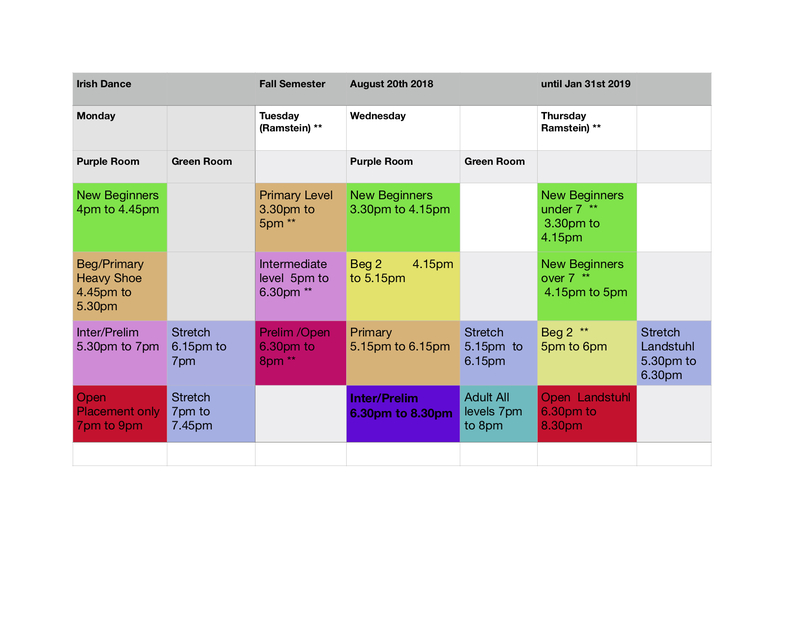 Classes for beginner children and adults. In our beginner program dancers will learn the foundation steps in Irish dance. 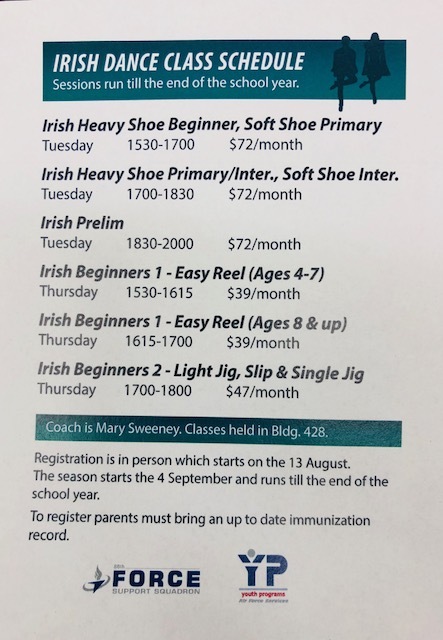 Starting with the soft shoe program, dancers will gradually progress to hard shoe learning a full spectrum of traditional Irish dancing. The primary program is for dancers who have already completed the beginner program (easy reel, light jig, slip jig, single jig, primary reel and hard shoe introduction. The steps will become a little more advanced with focus still on correct technique, posture and performance. The intermediate program is for dancers who have already completed the primary program. The steps will become a lot more intricate with focus on reels, slip jigs, jigs and hornpipes and an introduction to modern set dance choreography. The Open program is for our competitive championship dancers. In order to attend this class dancers must compete regularly in Open Championships nationally and internationally (three times per year or more). Students in our Open class compete regularly and some make it to the highest level and compete at the annual world championships.